During Ramadan 2018 (16 May-14 June), security staff at the largest mosque in the world will be using drones to fly high above the throngs of pilgrims to ensure public safety. Saudi Arabia suffered a major tragedy during Ramadan 2015. During Hajj, two large groups of pilgrims traveling in opposite directions came together at an intersection near the Jamaraat Bridge. There was insufficient space for the people gathering which caused mass panic and a ‘crush’. It was estimated that at least 2200 people from 36 countries were killed. It was the deadliest event at Mecca. Unfortunately, this was not the only tragedy to strike the holy land. The Al-Haram Mosque in Mecca, Saudi Arabia, is an enormous complex normally capable of holding 900,000 worshippers. 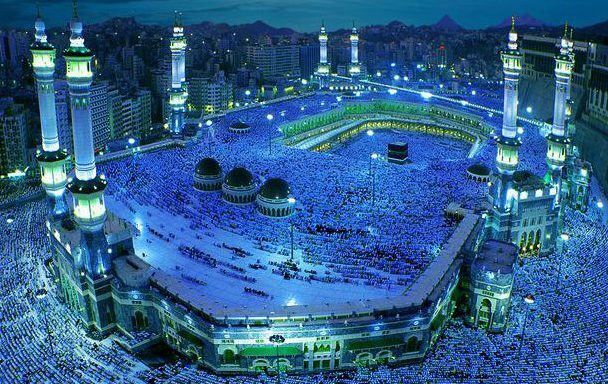 During Hajj (the annual period when many Muslims make a pilgrimage to Mecca) this capacity leaps to 4 million! On multiple occasions, hundreds or even thousands of people were killed during stampedes. As a response to criticism of the tragedy, Saudi Arabia seems to be taking safety more seriously. The drones will be controlled by security forces who will be on the lookout for anyone acting suspiciously, as well as helping authorities to monitor the movements of people throughout Mecca. Accompanying the drones will be 25,000 cameras, 2,400 policemen, and 1,300 security patrols. Drone technology is changing the world of safety. In the next year, almost 2.3 million of the unmanned aircraft will be sold. Right now, is the perfect time to launch your career into the sky, starting with our FAA Remote Pilot in Command Certification Exam Prep! This entry was posted in Drones and tagged Drone Flight, drone news, Drone Safety, Drone Technology, Drones.